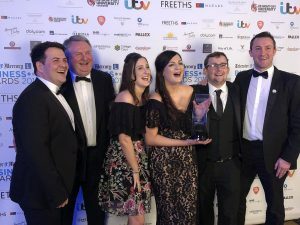 On Thursday 11th April businesses from across Leicester and Leicestershire gathered together at the Leicester Mercury Business Awards to celebrate the very best in local business. The glamorous awards ceremony aims to celebrate success, recognise achievement and highlight the innovative people and companies throughout Leicestershire. They recognise those who are putting their region on the map by boosting the economy whilst making a positive contribution to the local community. Steve Crawford, Centre Director at College Court says ‘This is a wonderful award and recognition for all that work at College Court. I see on a daily basis colleagues taking ownership and leading the business to ensure a first class experience for all our guests. Further information on the winners can be found at https://leicestermercurybusinessawards.co.uk. Over the years College Court has achieved truly outstanding results when it comes to being awarded for their excellence including recent success at the Leicestershire Tourism Awards winning ‘Best Hotel’. Furthermore securing the award for ‘Best Catering Service’ at the Academic Venue Awards in November last year. This entry was posted in Exhibition Talk, Industry News, Promoting Venues, Venue Focus. Bookmark the permalink. Follow any comments here with the RSS feed for this post.